Security and SIA associated training and services. 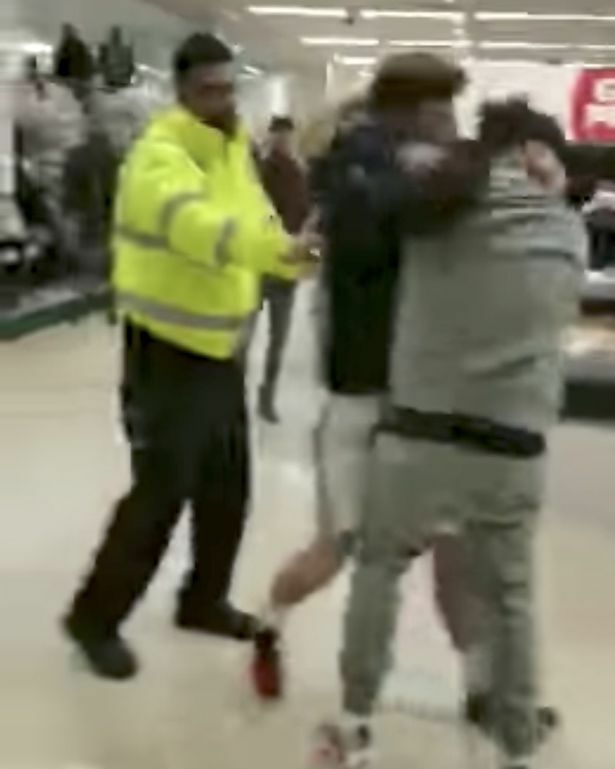 Security Guards at Sainsbury’s supermarket were left dumbfounded during a altercation between two men. Video footage has been uploaded onto YouTube by a user. The video shows a man on a mobile phone running into the store to record the two man brawl. Security staff are seen to be asking them to stop at the start of the video. The pugilists carry on the fight swinging punches at each other Queensbury boxing style. As they move towards one of the shopping aisles almost knocking over a confectionery display a female member of staff screams at the men ‘enough’ however the two men continued two throw a concussive cocktail of uppercuts and hooks. One of the males suffered injuries to his face and ended up covered in blood. Sainsbury’s staff and a security guard attempt to intervene as the fight escalates. But not before footage captures the sight of one of the fighters’ faces badly bloodied, the exact location of the brawl is unclear.